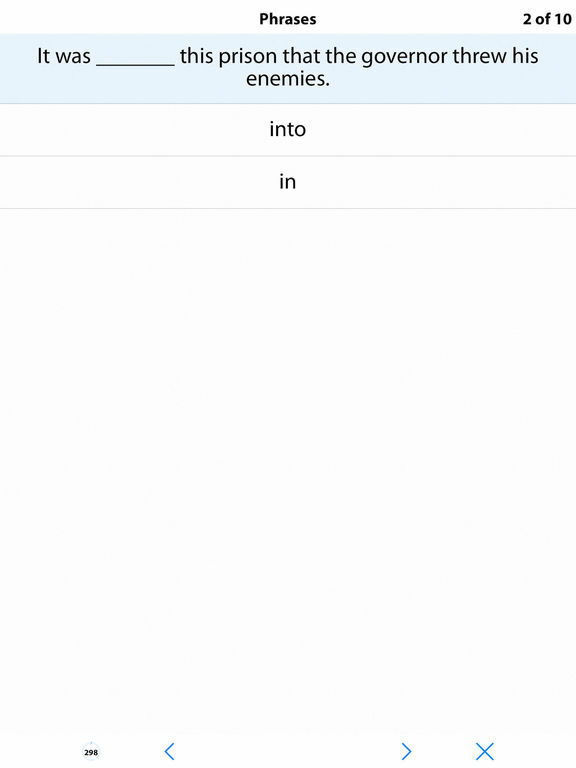 Improve your Grammatical Knowledge with this innovative app. 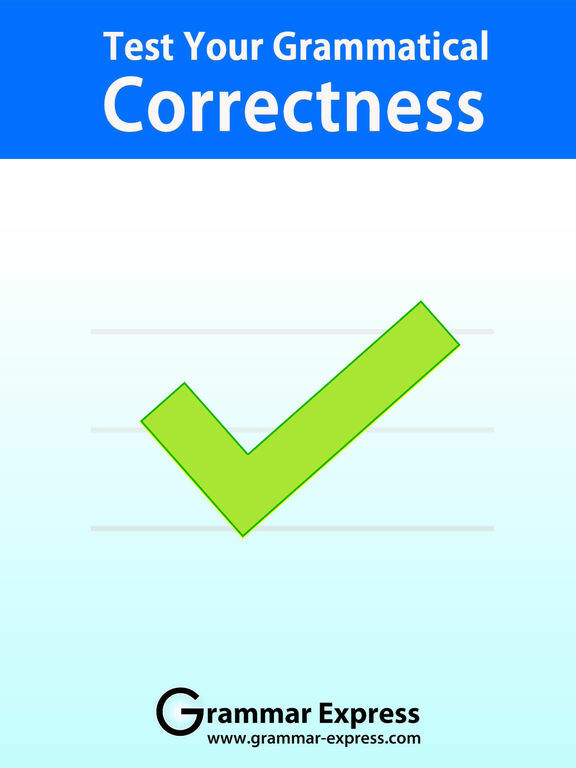 Test Your Grammatical Correctness contains over 400 questions on different topics. 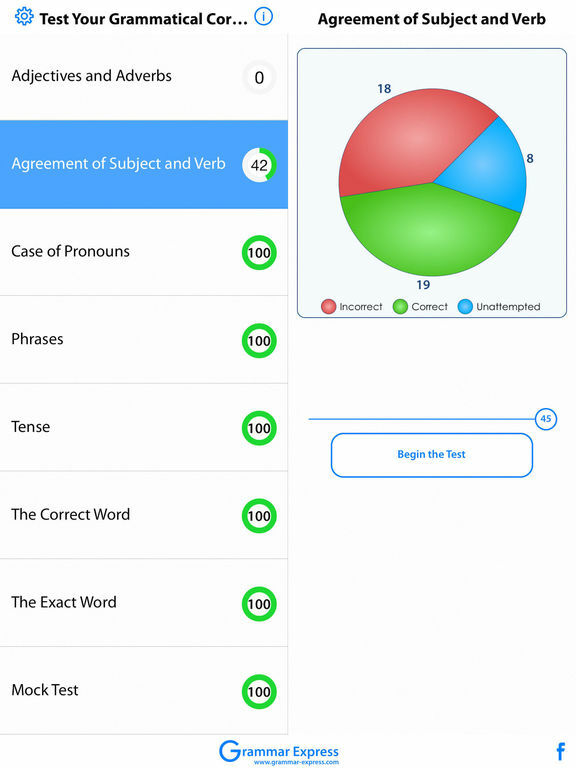 In addition to measuring your grammatical ability, our exclusive test assesses your performance in 7 different areas of grammar, revealing your key cognizant strengths and weaknesses in English Grammar. 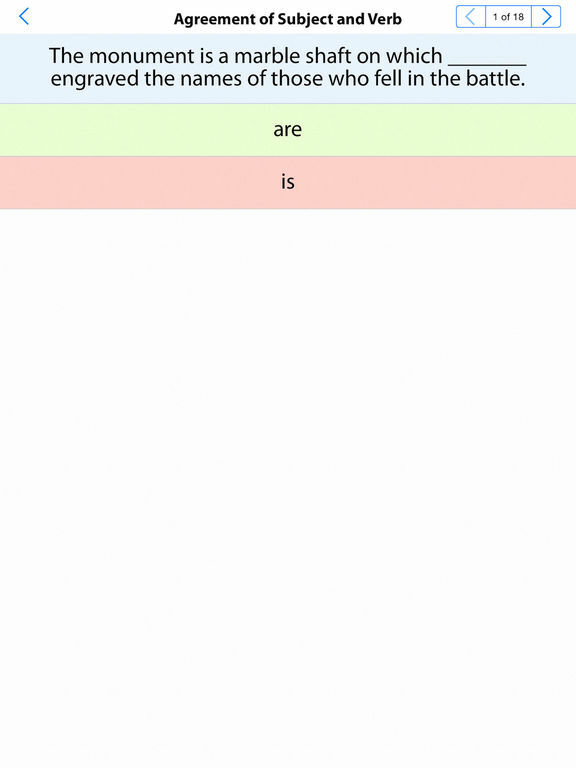 A summary of the test is presented at the end of each test. It shows you the time you took, the score, which questions you answered correctly and where you were wrong for every question. And yes, you can E-MAIL the results. 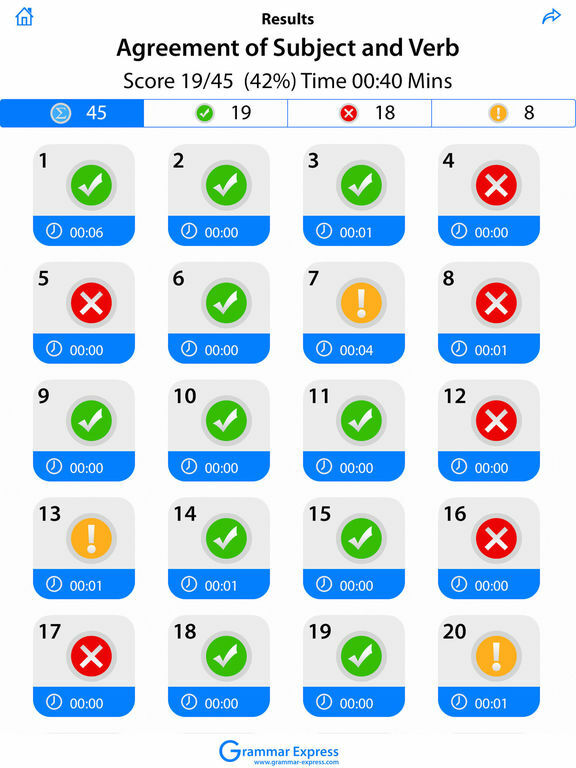 The app records your progress as you start practicing different areas of intelligence. It shows you a beautifully animated pie chart so that you can track your weak areas and retry the questions you answered incorrectly. The sleek user interface allows you to choose from possible answers. You don't need to press too many buttons or encounter any alert messages. The app is very interactive and needs minimum user input. Shake your iPhone/iPod/iPad to skip a question. • Over 400 multiple-choice questions.